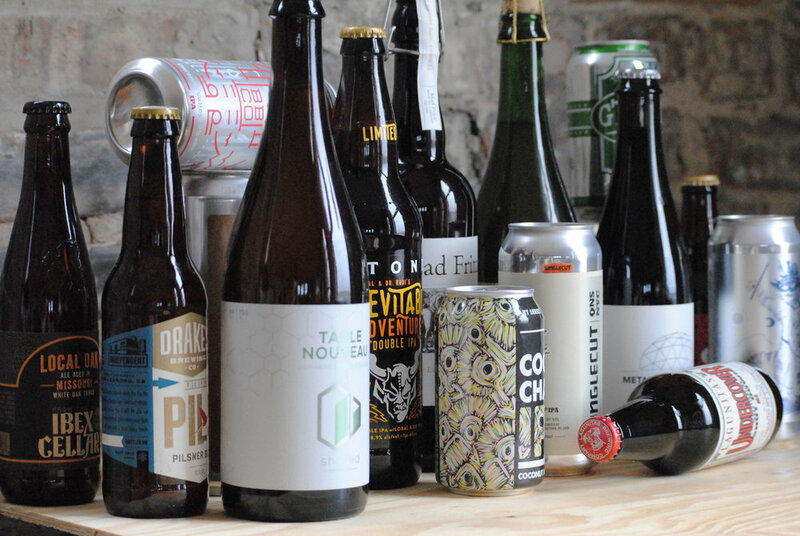 We tasted through the following 18 beers for April and rated them according to our very own interpretation of the BJCP scoring guidelines, on a scale of 100, listed in alphabetical order. We considered aroma, appearance, flavor, mouthfeel, overall impression and trueness to style. It's not an exact science–we know this. We just don't like to pass on the opportunity to drink more beer. This month we explore a hearty offering from Vermont and California, a handful of impressive farmhouse ales, some IPAs of course, and even a new cider. 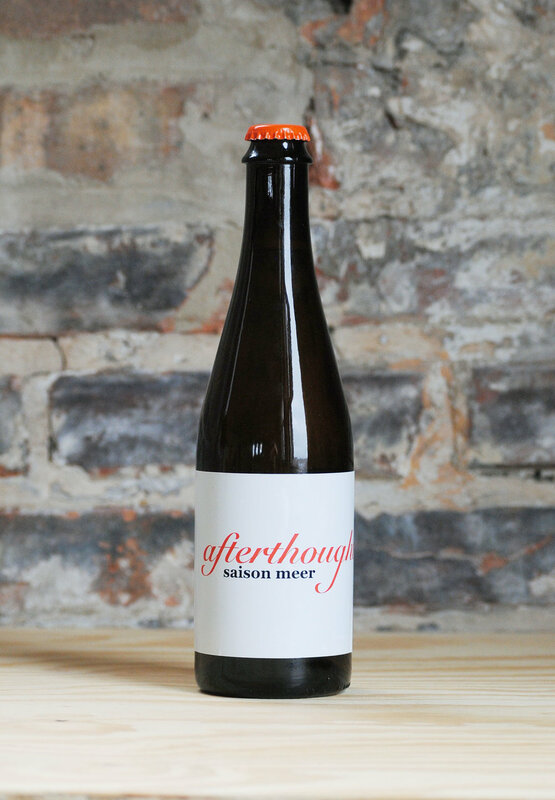 Afterthought is a brewery you've likely heard nothing about. That's about to change. Recently ranked as one of the top breweries in the world on Untappd (thanks to their collective user reviews), their barrel-aged saisons and blended yeast-forward brews are getting some much deserved recognition. Saison Meer came recommended as the best place to start, and boy were they right. Slightly tart, a whole lot of apricot, and beautifully balanced. We'll be back for more. Our first beer out of Vermont this month, this one is one of many that could pass for fruit juice on appearance and aroma alone. It's a hazy, murky orange juice-esque pour, and presents an expected fruity profile–tangerine, melon, grapefruit. While 'Uncanny' is much of what you've come to expect from the NEIPA realm, it does finish with a somewhat dry, prickly hop bitterness, to remind you that it is in fact an IPA after all. Remember when IPAs where more hoppy than juicy? We went in expecting weird, and we got weird. It's not every day you see a sweet potato beer, but there's no mistaking you have one here when that aroma hits. Oddly, there's very little identifiable when tasted. Rather, it reminded us strongly of an older, even oxidized, beer with tons of caramel and toasted flavor. Malt forward and boozy, even at 7%, makes for a beer that's interesting to sample but we just couldn't get behind a full pour. Grab a single for its unique qualities, then move on. While coconut is an ingredient often associated with stouts and porters, its become a welcome addition to IPAs as well. Here, it adds a pillowy smoothness akin to what you'd get from the addition of lactose to a pale ale. Admittedly, however, the concentration in Coco Chaos is a bit thin, and is mostly noticeable on the finish, as the coconut finally makes itself known as it lingers. While it's not as coconut-forward as you might expect, that might just be it's strength. This won't make much of an impact, and we're guessing that's exactly what was intended by the brewers here. This is a classic pils–maybe slightly more hop forward than the style guide–which is right up our alley. Pouring a bright gold with minimal head, it's aroma is crackery with a slight floral spice. Its slight sweetness is balanced nicely by the aforementioned hop character, leaving a crisp finish. This is as easy going as it gets and would be a great choice for marathon drinking. Another out of Vermont, this Really Pale Ale is somewhat deceiving in name alone–we'd guess this is only 'really pale' in aesthetic by East Coast standards. RPA is a murky, cloudy pour, with a more traditional straw hue than it's juicy cousins. It's slightly citrusy with lemon and hop spice front and center. It's fairly dry and super sessionable, even if it sits just above the 5% mark. The most impressive thing about RPA is its intended low IBU; at just 35, it's packs far less of a hop bite than most pales. 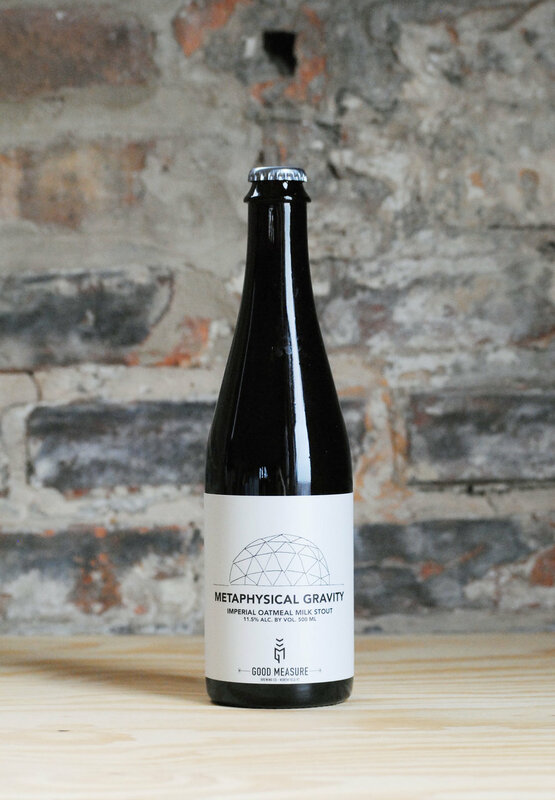 The descriptors "imperial" and "oatmeal milk stout" may seem at odds but they're somehow pulled together in Metaphysical Gravity. Expect a thick, almost viscous pour with a dark brown head. The aroma is full of coffee, chocolate, and booze that begs for a spot by the fireplace. When tasted however, it's surprisingly dry and bitter, making for a beer we'd struggle to drink alone. An interesting marriage of styles, at the very least. What's undercover here is the deceptively high ABV, at nearly 10%. This falls in line with the more traditional West Coast approach to IPAs, as far as its piney, zesty hop characteristics. However, classifying it as a pale ale would be tricky, given it's copper hues, malt backbone and finishing tinge of boozey heat. While intriguing, this one should be enjoyed slowly and in moderation. A Grisette isn't a style we drink every day, but since that's what it was designed to do, maybe we'll consider it. Low alcohol and a reduced hop profile make for a delicate beer that lets the yeast shine through. 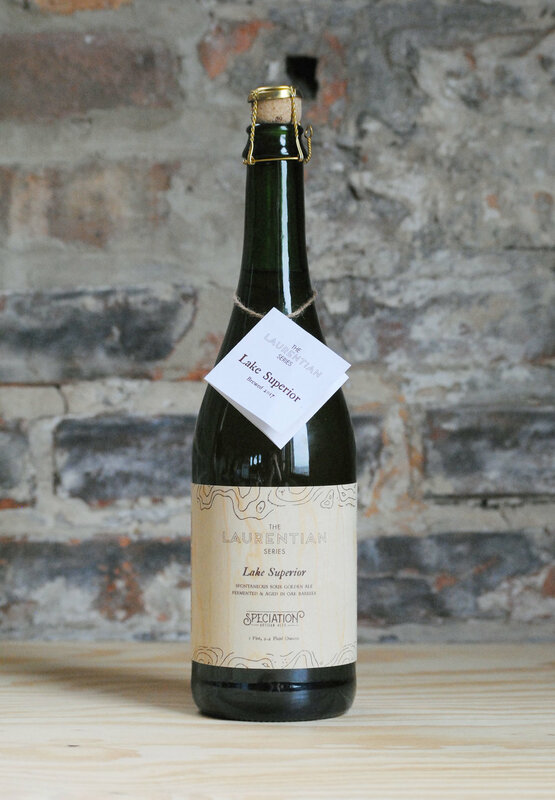 The high, saison-like carbonation and bright gold color make for a beautiful pour and a an effervescent bubble on the tongue that's reminiscent of champagne. A beer you could easily drink yourself, but best to share this experience with others. While many beer drinkers still struggle not to add "Number 9" after a mention of "Magic Hat," the brewery has quietly been re-inventing itself the past couple years. Part of that approach includes limited releases of DIPAs, like this. Here, however, don't expect a big hazy juicer, instead, you'll find a more malt-forward, only slightly hazy pale ale. It's a tropical, flowery DIPA, with an almost herbal or minty characteristic to it. 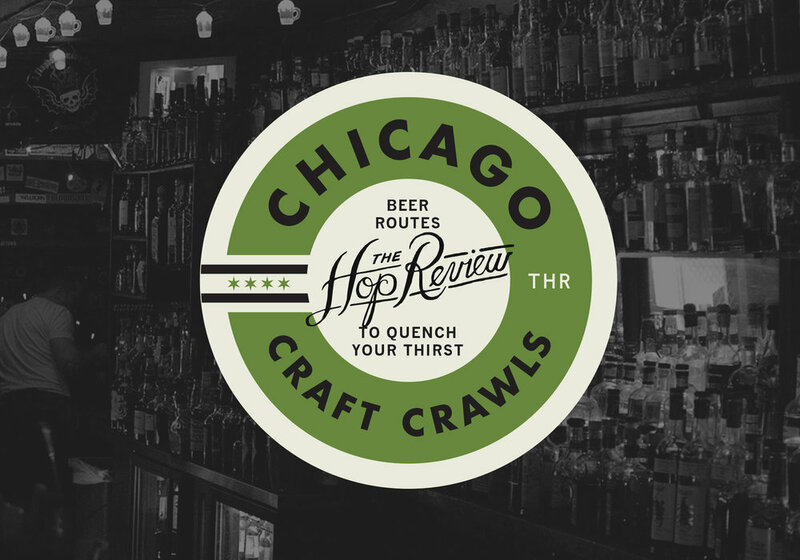 In a world of juicy IPAs and barrel-aged stouts, it's easy to forget some of the styles that once anchored the craft beer movement. G'Knight is one of those beers. An imperial red ale is not a style you cross much anymore–and if you're not a fan of malty beers, then lay off this 8.7% bruiser. It's a toasty, caramely copper ale that finishes with a resiny bitterness. This one's a dense biscuity-piney smashup. At first sip, this beer grabs your attention. There are loads of fruit-forward notes on the nose and onto the tongue–papaya, pineapple, melon and lotsa passion fruit thanks to the Galaxy hops. The contradiction lies in its lagered approach, which leaves you with a super crisp, dry finish. It's impressive to think that this IPL could somehow be juicy and dry, but it does just that. A new release from the always interesting Ibex Cellar at Schlafly, Local Oak has a ton going on. Rather unusually for similar sours, the oak also comes through as an almost Chardonnay quality, and is quite forward right up front. Highly carbed with a quickly dissipating head, a huge fruit and hop forward nose, and absolutely bursting with acidic fruit flavor throughout, sour beer lovers will be all over this one. Table beers just might be the next big thing in craft beer. The challenge lies in concocting a flavorful beer at just 4% ABV, which Shared Brewing (a side project of...Side Project) does impressively. This dry-hopped 'table saison' pours a bright, clear straw color with a fluffy white head. It's lemony with pear-like yeast esters and gives off just the right amount of tartness to be able to go back for more...and more. This is a massive double IPA from Queens that makes no effort whatsoever at balance. At over 100 IBU's, you know what you're getting yourself into here. Huge guava, tangerine and pine aromas follow right through to the palate crushing taste. The malt backbone can't stand up to those hops so expect a dry finish. 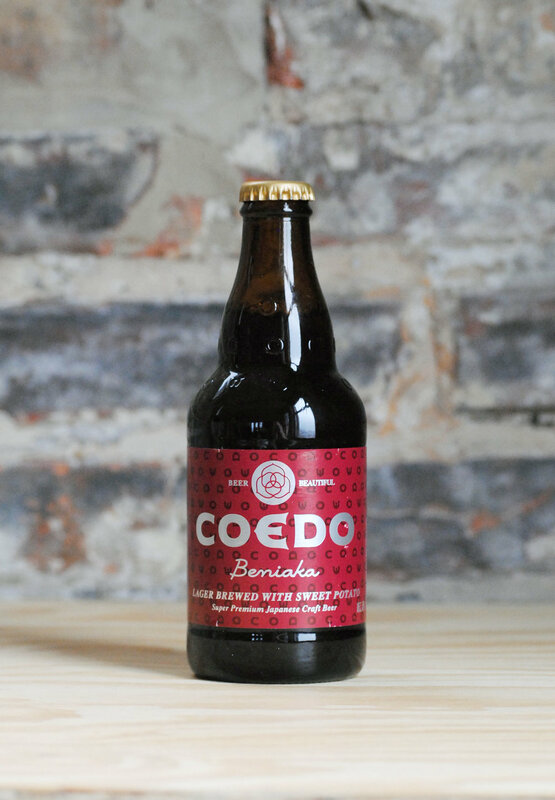 This is a beer you're going to share with others and enjoy in small pours. Just make sure you drink it last—you won't be tasting anything else. Two months, two home runs from Speciation. We're not big fans of brewing gimmicks, but just take a look at how this one was brewed using the fresh air from Lake Superior. That's just plain cool. There's a funk to this that's really unique, but with a reduced acidity compared to other beers we've had from the brewery, it's a lot more approachable. A beautiful beer through and through. An odd name that's an ode to the two brewer-favorite hops featured in this big double IPA. By now, you probably know what you're getting from a Stone IPA. Big hop aroma followed by an unmistakable west coast bitterness. This is where things go a little awry however, as the body just isn't what we expected from an 8.9% beer. Falling off pretty hard due to a perceived lack of a malt backbone to counter those hops, this was a disappointing adventure. 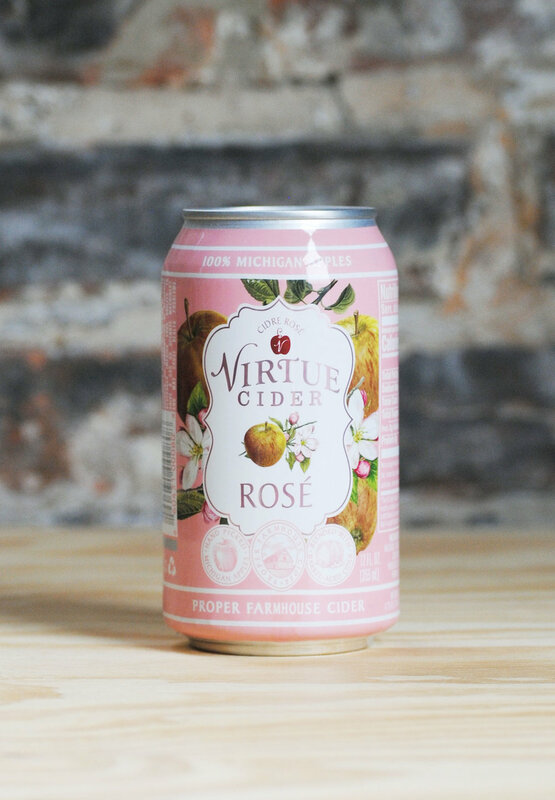 Here's our obvious oddball inclusion for the month, but we just had to... As we expect Midwesterners might be seeing a lot of this in the coming months, Virtue's Rosé is a surprisingly approachable sipper, even for those that might not prefer the wine style [raising hand]. It's aging on French oak barrels adds a slight woodiness and noticeably dry finish. 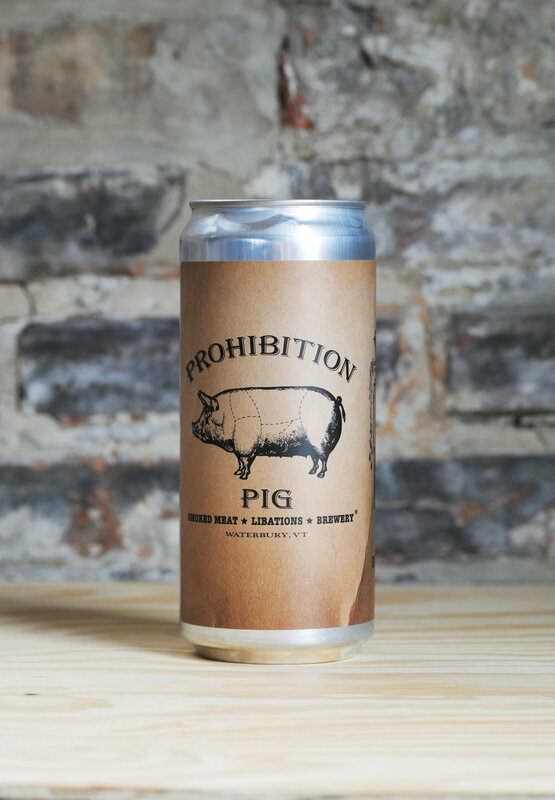 We might suggest putting this into a cocktail, pairing with food, or enjoying on a boat. To no one's surprise, it's not for everyone–but worth a try nonetheless.